Why use boring nails or hooks when this charming alternative is available? 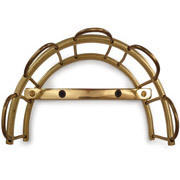 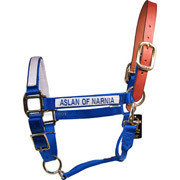 This solid cast iron reproduction of nineteenth century harness hardware can bring character and class into your tack room or home. 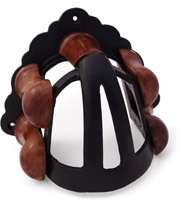 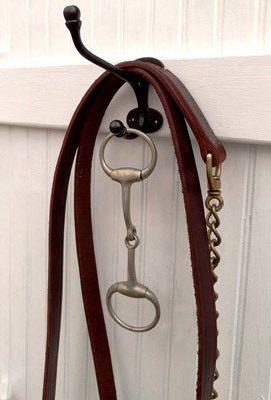 Contoured, supportive bridle brackets are recommended for leather strap goods, but harness hooks are perfect for hanging a coat, purse, bridle bags, towels, or just about anything else you can think of! 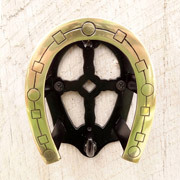 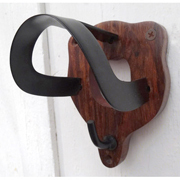 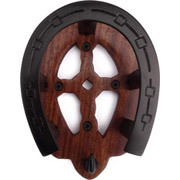 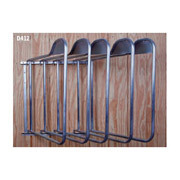 These hooks blend right in with interior decor as well, bringing a bit of classic equestrian style into entryways, mudrooms, or bathrooms. 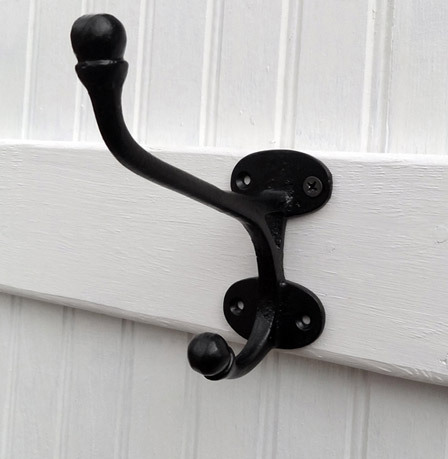 The special mounting plate and braced design mean once this hook is secured to a beam or stud it can hold an impressive amount of weight.